Not the golden bars that I first pulled out. 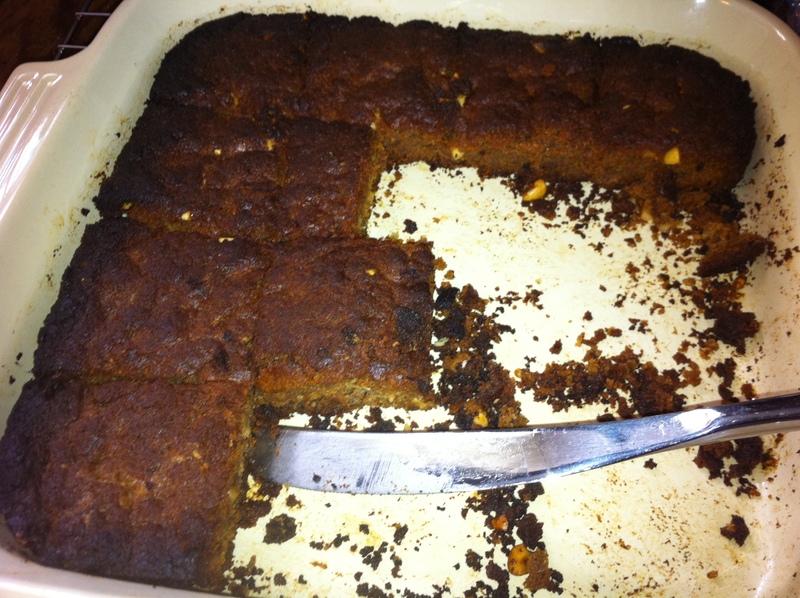 But they did cook all the way through, and despite the darkened edges, I managed not to burn them. The flavor is rather bland, not bad, just boring. 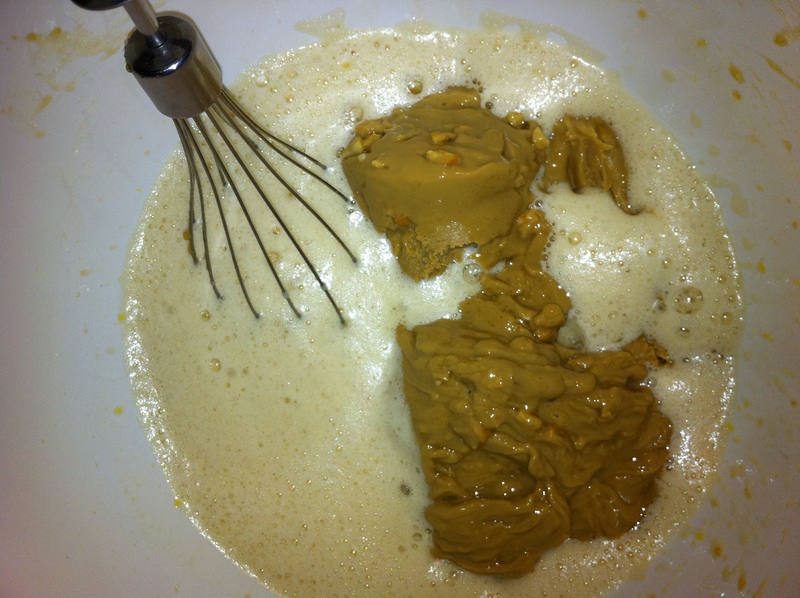 When I started making the batter, I thought about adding a mashed banana as I didn’t have all the required honey/agave. I thought about adding another egg. In the end, I did not listen to my instincts and wound up with blah bars. After baking, I thought about crumbling up the bars and toasting the pieces to make a sort of granola. Today, I decided to blend a couple of bars into a smoothie, and that turned out to be tasty. Mind you, to like this idea, you have to like shakes with brownies or cake bits blended in. I like textures in my drinks (like boba! ), but not everyone does. Here’s the smoothie recipe… adapt to your preferred liquid and protein powder. Add milk, banana and protein powder to VitaMix blender. Blend on high to combine. Slow the blender to the stir function and add the PB bars. Only “stir” for a short amount of time to keep decent sized chunks of the bars, otherwise turn to high and they’ll get blended in so the smoothie has a batter-like consistency. Here’s the post I started yesterday with the PB bar recipe. Maybe try following the original recipe on Celiac Chicks’ website and see if that works for you. Let me know how it turns out! I’m going to wait a bit before using 16 ounces more of my precious MaraNatha peanut butter on this recipe. In a mixing bowl, beat together the eggs, honey and agave (I used a stick blender with the whisk attachment for all these steps). Add baking powder and beat again. 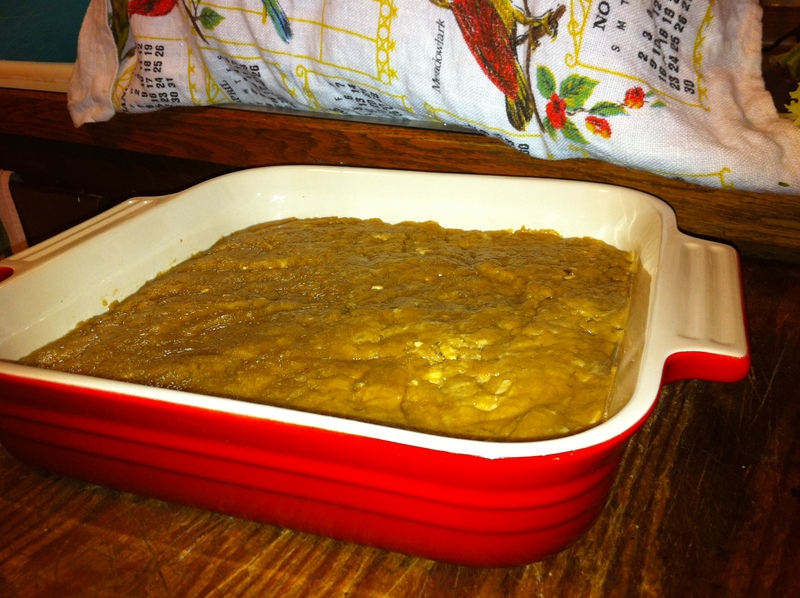 Press dough into an oiled (I used coconut oil) 8×8 or 9×9 square baking dish. Cool in pan over a cooling rack for 10 minutes, then serve. 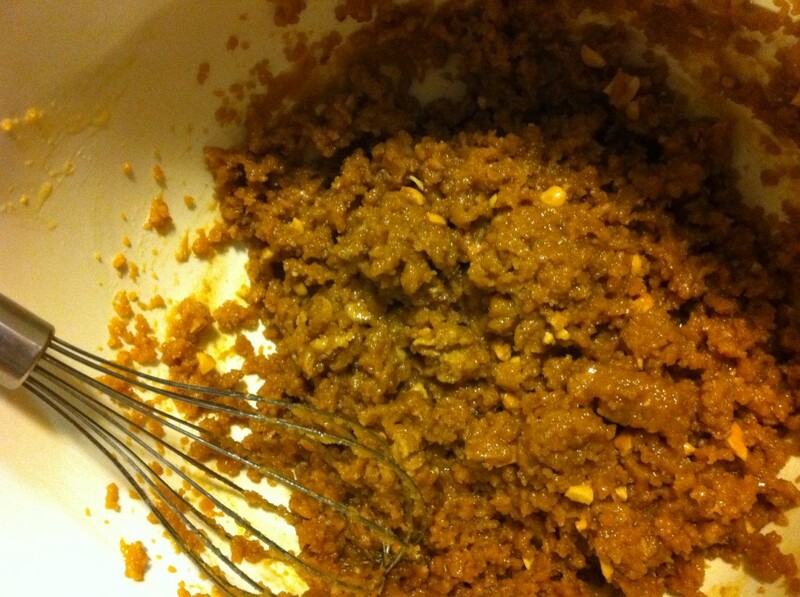 Peanut butter getting mixed into the beaten egg, sugar and baking powder mix. Dough pressed into the baking dish. 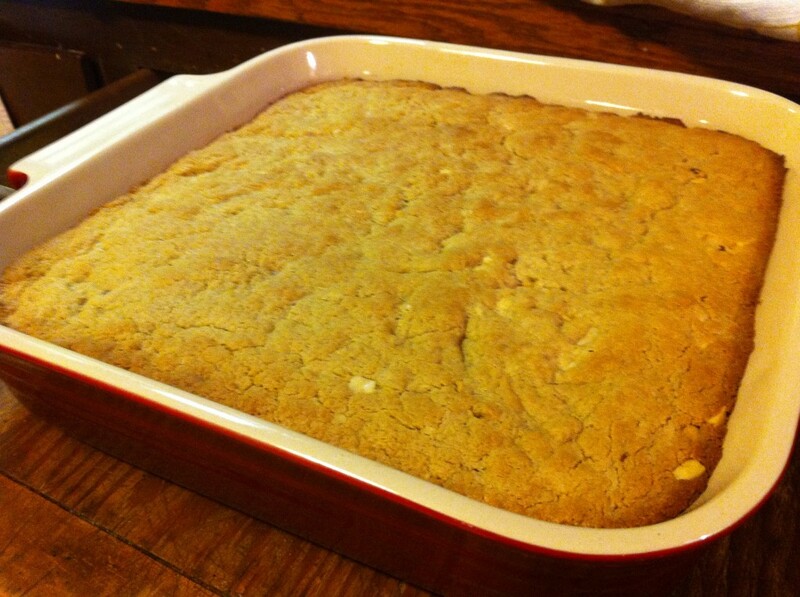 Peanut butter bars baked to golden perfection. This entry was posted in splats, sustenance+sustainability and tagged baking, cookies, gluten-free, peanut butter, smoothies on 24 September 2011 by cheryl.